We make sure all of our vehicles are designed to bring you the highest standards of comfort and simplicity, and we do it with unbeatable prices. Our 29 seater coach fleet comes with a variety of features to make your journey a smooth one, we offer fully air conditioned vehicles so you're not left sweltering on the crowded underground, microphones so your whole party can get the most out of the city and interior lighting, so you know where you're heading at any time of day. If you're looking for a little something extra we offer select coaches with CD and DVD players, panoramic windows (ideal for tours) and our blue 29 seater executive coach comes equipped with leather interiors for a touch of luxury. 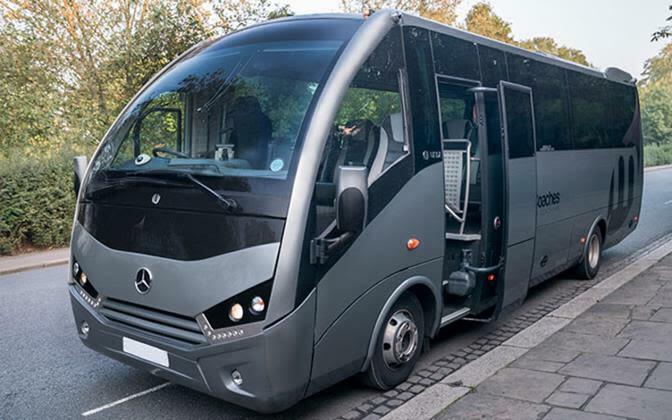 Whatever your reasons for travelling to the capital, from a holiday or a school trip to a business function, Mint Coaches‘ clean, comfortable and efficient 29 seater coaches will help you manoeuvre through the city with ease. We all know how hectic London travel can be so trust us to get you where you're going swiftly and simply, just sit back and enjoy the ride. If you're in need of transport from London to destinations around the UK, look no further than Mint Coaches. We ensure that your journey runs as smoothly as possible: our London coach hire and minibus hire services are the perfect way to get around the capital, leaving you free to relax and enjoy the journey through its bustling streets. Our vehicles range from 14-seater minibuses to 57-seater coaches, which cater for all needs - from basic travel to UK coach tours. 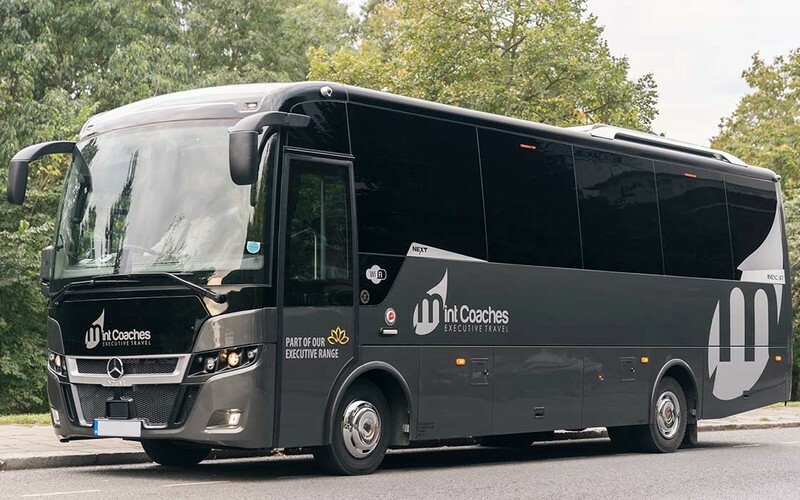 All of our coaches have interior lighting so you can travel in comfort at any time of the day or night; our fleet also comes with full heating and air-conditioning, ensuring your journey is a comfortable one whatever the time of the year. Our executive range of vehicles also come with CD and DVD players, as well as leather interiors and panoramic windows, allowing you to take in all aspects of your journey in an enjoyable and relaxed atmosphere. Whatever your travel needs may be, Mint Coaches will always aim to exceed your expectations. Our company has over 10 years’ experience in the transport industry, and is perfectly positioned in the heart of London, allowing us to provide you with exemplary travel at competitive prices. We hand select our drivers to ensure care, skill and experience. Indeed, all of our drivers are DBS checked and regularly attend training to ensure their driving is the best it can be. Our fleet is constantly being upgraded, to ensure our service is as safe and reliable as possible. As a family run business, customer service is at the heart of our work; we understand that planning a group journey, particularly through central London can be difficult at the best of times. This is why we aim to take the stress out of travel by providing you with a first class experience from start to finish. We have an outstanding reputation within the coaching industry for providing only the warmest of customer care. So whether you are travelling for business of pleasure, book with Mint Coaches today, and let us ensure that your journey is stress free.